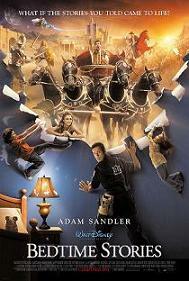 Interpretación: Adam Sandler (Skeeter Bronson), Keri Russell (Jill), Guy Pearce (Kendall), Russell Brand (Mickey), Richard Griffiths (Barry Nottingham), Jonathan Pryce (Marty Bronson), Courteney Cox (Wendy), Lucy Lawless (Aspen), Teresa Palmer (Violet), Aisha Tyler (Donna Hynde), Jonathan Morgan Heit (Patrick), Laura Ann Kesling (Bobbi). Guión: Matt Lopez y Tim Herlihy; basado en un argumento de Matt Lopez. Producción: Jack Giarraputo, Adam Sandler y Andrew Gunn. Montaje: Tom Costain y Michael Tronick.